I have a really cool home I canât wait to share with you! Welcome to 110 Wilshire in the lovely neighborhood of Greystone! Welcome to Powdersville. Welcome HOME! 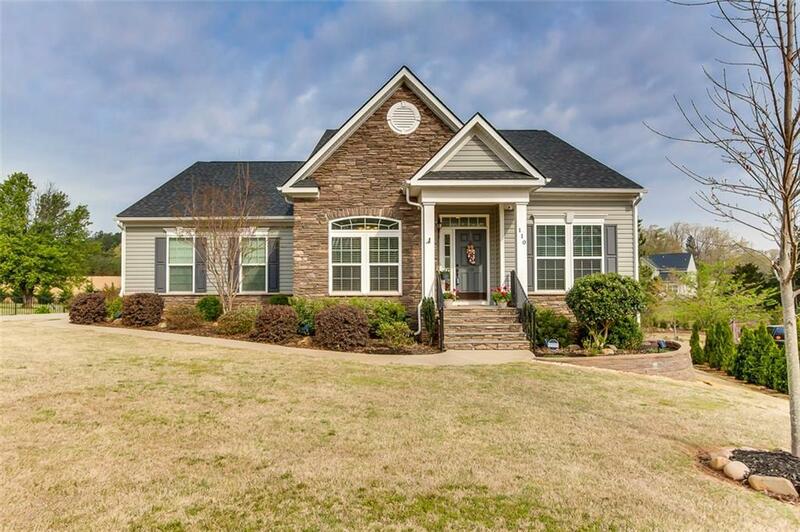 Greystone is a community framed with mature trees and offers a community pool. The streets are wide and the pride of ownership gleams. Down the street located on the left is the home I am talking about. Stone accents set the stage. The driveway is wider than most allowing for a larger vehicle. Come on inside. Flooring is just beautiful. There is a room to the left that would make a nice sized formal dining OR maybe an office space if you work from home. Down the hall and into the family room you are going to enjoy the bright windows with the opened floor plan that is given. The fireplace will warm the room as the last of cool evenings give way to Spring. The kitchen is HUGE in this home. There is a nice work island with space for morning gatherings as breakfast is prepared. You are sure to enjoy the miles of granite counters and countless cabinets. There is a breakfast area that will easily accommodate a farm house table and there is even a morning room. This room boast the same bright windows and allows for a good view of the backyard. Enjoy a cup of coffee while keeping a watchful eye on the kids at play in the back yard. While outside let's take a peek at the many features offered. There is a covered sandbox for the kids to enjoy. But you will certainly appreciate the huge patio with a great fire pit! The weather has begun to warm and I can just see you sitting out by the fire at night at the end of a busy day winding down! The yard is HUGE too! The kids will have plenty of room to play and enough the outdoors! Back toward the home and up the deck you will see how nice it would be to have a dining area here. You have room for a grill and even space for an umbrella seating! You will LOVE this back yard. Back inside and located on the main level you will find 3 bedrooms. Thatâs rightâ¦..The master is split from the guest rooms giving you privacy. There is a private bath with large soaking tub and oversized tile shower. The double vanity and double walk in closets are sure to come in handy. The guest rooms offered on the main floor are nicely sized and all are well appointed. The guest bath is situated between the two rooms. Up the steps and located on the second level is a bonus room AND an additional 4th bedroom along with a third bath. This area would be perfect when out of town guest come to stay during Holidays OR for the returning college student. The space has been thoughtfully done. I love the arch ways and columns given at 110 Wilshire. The colors are cool and comfortable throughout. I can appreciate the clean flooring and open floor plan. The fact there are 3 bedrooms on the main is a rarity. This floor plan is just easy on parents! 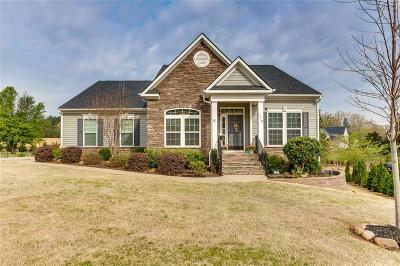 110 Wilshire is nestled in the award winning Anderson One school district and Wren High is just a short drive away. Access to all major Interstates can be reached in moments. The âCommunityâ of Wren offers tons of activities for parents and kids. The NEW YMCA has tons activities including sports and events! This facility is 10 minute away! I just know you will LOVE 110 Wilshire. Give us a call and we will get you in!